HIV - AIDS cases are increasing in women and makes them become vulnerable groups. Women have the possibility of infected with STIs - HIV twice higher than men and will have an impact on increasing number of children infections. The study aims to explore social determinants that affect women's vulnerability to STIs – HIV transmission.The study used qualitative design on 21 informants selected purposively that consists of clients, providers, counselors. The selected informant’s criterias are currently or had an STI or HIV (client), has experience handling an STI or HIV client (provider / counselor). The recruitment process is carried out by involving health provider. The study was conducted in April - June 2012 at three health services in Denpasar. Data collection was conducted through in-depth interviews using semi-structured interview guidelines, then recorded and transcribed. The analysis is done thematically and triangulated through member checking and peer debriefing. 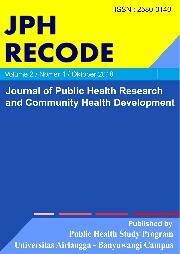 The results of the study indicate that the social determinants affecting women's vulnerability to STI-HIV transmission including the lack of knowledge, risky sexual behavior of women and spouses, economic pressures encourage women to engage in prostitution, economic dependence restrict access to services, stigma against condoms and HIV, the influence of gender inequality, women value in community making women in blamed position, low bargaining positions in negotiating sexual relations, motivation, and health provider behavior that affect the quality of service and cause client distrust.Social determinants affect women's vulnerability to STIs – HIV transmission holistically from individual factors of women and beyond individuals, i.e: family, society and culture. A comprehensive efforts froms many parties are needed to improve knowledge, women's empowerment, training about communication and counseling are needed for health provider.